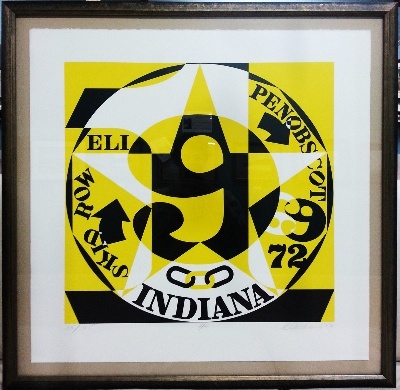 Framed Size: 36" X 35"
Robert Indiana, born Robert Clark in New Castle, Indiana on September 13, 1928, one of the preeminent figures in American art since the 1960s, has played a central role in the development of assemblage art, hard-edge painting and Pop art. 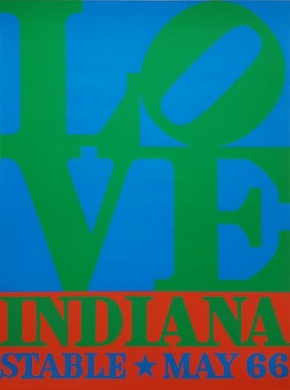 A self proclaimed “American painter of signs,” Indiana has created a highly original body of work that explores American identity, personal history and the power of abstraction and language, establishing an important legacy that resonates in the work of many contemporary artists who make the written word a central element of their oeuvre. Indiana's best known image is the word love in upper-case letters, arranged in a square with a tilted letter O. 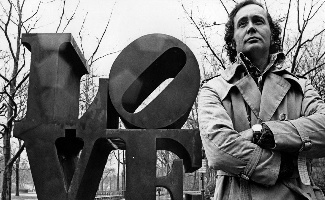 The iconography first appeared in a series of poems originally written in 1958, in which Indiana stacked LO and VE on top of one another. Then in a painting with the words "Love is God". 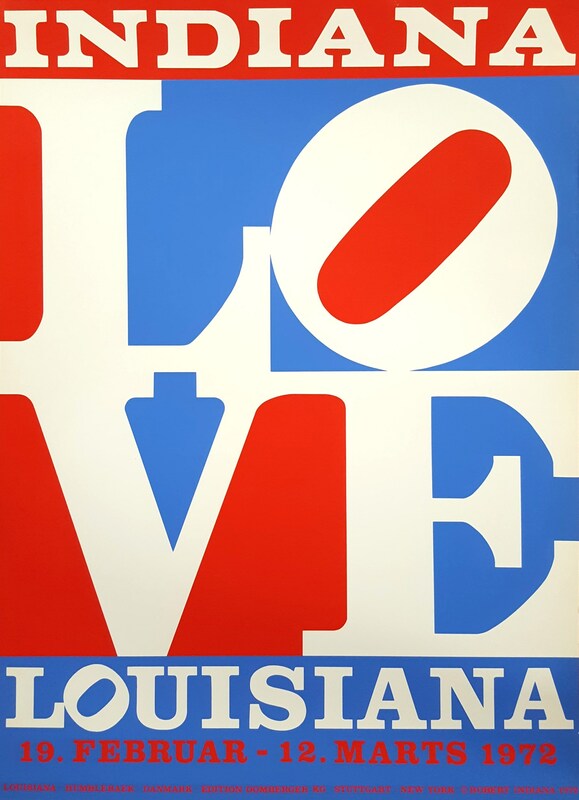 The red/green/blue image was then created for a Christmas card for the Museum of Modern Art in 1964. It was put on an eight-cent U.S. Postal Service postage stamp in 1973, the first of their regular series of "love stamps". Sheet Size: 33.5" x 24.5"
Sheet Size: 32" x 24"